We developed a scalable brand and packaging system for your friendly neighborhood coffee roaster fighting hunger, unclean water, and human trafficking. We set out to create an identity system that makes the world feel more like a community. Faraway places are brought nearer through the use of animals native to the origins of each coffee and their hand-drawn faces faithfully represent products crafted with care. 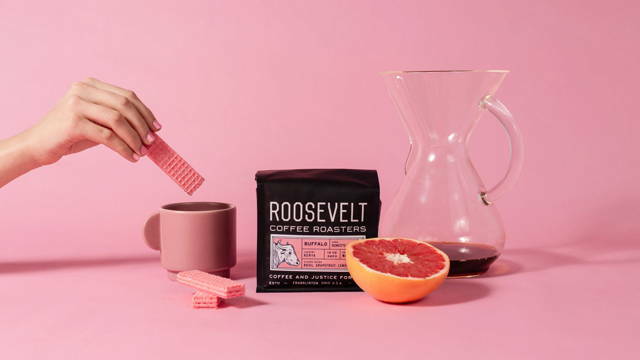 Anchored by the mission Coffee & Justice for All, we developed a variety of merchandise and brand extensions, so the growing community around Roosevelt Coffee Roasters can wear and share what they love.